Deep in the forest, there's a very special tree, and inside its trunk you'll find The Magic Potions Shop. When the sky goes dark, for no reason at all Grandpa sends Tibben to the Frozen Tundra to find out why. The snowy plains are home to fierce-sounding magical creatures like Frost Wolves, Shadow Owls and Blizzard Bears! Tibben is nervous, but luckily his best friend, Wizz, is there to help him. Together, can they bring back the light? 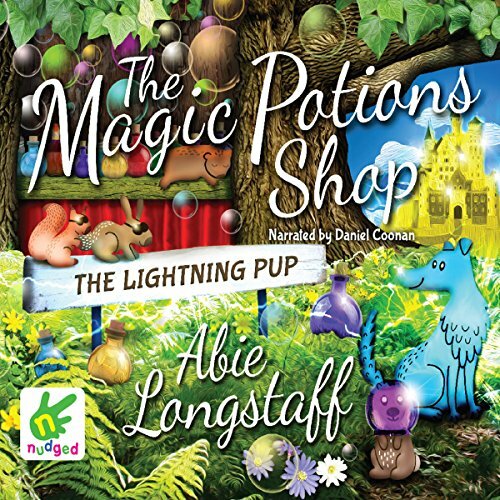 This is the third enchanting instalment in the Magic Potions Shop series.